The Pet Emergency Room at SVRC is dedicated to delivering the highest quality of medical care for the benefit of our patients, their families, and local primary care veterinarians 24-hours a day. Our team of emergency doctors, experienced technician staff, and a dedicated group of veterinary assistants are all committed to helping people respectfully, compassionately, and enthusiastically. Our ER capabilities include emergency surgery, ventilator support, blood pressure, ECG and oxygenation monitoring, blood and blood product transfusions and the ability to run a variety of blood work in house. We practice collaborative medicine, bringing the expertise and skills of multiple specialties together to meet the needs of our patients. Our promise is to treat pets as if they were our own and our clients as if they were family and friends. We look forward to serving you and your clients. As in human emergency rooms, The Pet Emergency Room triages the most acute, life-threatening cases first. During extremely busy periods, more stable patients may need to wait while these critical cases are stabilized. A veterinary technician will take a brief history and the patient’s vital signs prior to the emergency doctor examining the patient. Emergency care involves stabilizing the patient and may include placing intravenous catheters, administering IV fluids, pain medications, oxygen therapy and sometimes blood or plasma transfusions. Our in-house laboratory, radiology and ultrasound capabilities enable us to get crucial diagnostic information very quickly. Our blood bank program guarantees that our canine and feline patients have access to a safe and adequate blood supply. Additional surgeons and veterinary specialists are on call should the need arise. 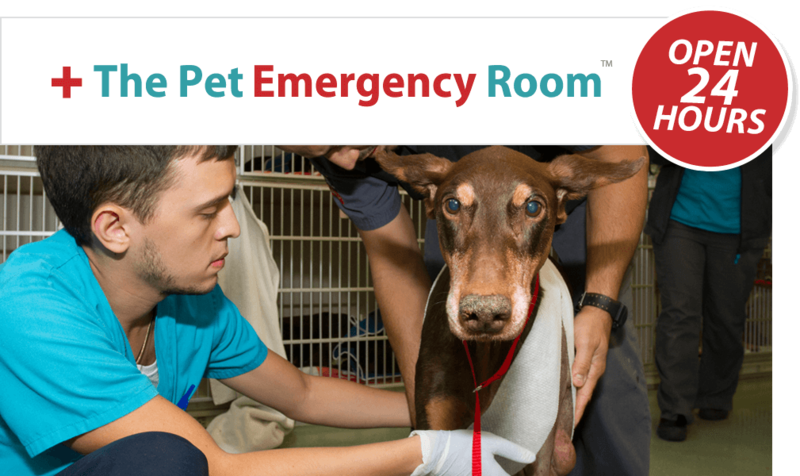 The Pet Emergency Room is an integral part of the Southeast Veterinary Referral Center (SVRC) providing the essential 24/7 critical care for the hospitalized patients. Emergency Care: The Pet Emergency Room is open 24 hours a day, 7 days a week. Our staff includes emergency and critical care specialists, licensed veterinarians, and veterinary technicians ready to help you with your pet emergency. Surgical Services: Our state-of-the-art facilities allow us to offer a variety of emergency orthopedic and soft tissues surgical procedures. We are affiliated with and are located in the same building as SVRC (Southeast veterinary Referral Center), where we have a board-certified veterinary surgeon on staff. Anesthesia: We only use the safest anesthetics for the safety of your pet, especially important when treating older or high-risk patients. Procedures requiring extra care with anesthesia are overseen by a board trained anesthesiologist. Vital signs are monitored during all anesthetic procedures with state-of the art monitor equipment. Radiology Services: The Pet Emergency Room has on-site, digital X-ray equipment for the quickest diagnosis so we can get your pet the immediate care he or she needs. A 24/7 cardiology consultation service is used to enhance the radiographic interpretation on difficult cases. Electrocardiography Services: At The Pet Emergency Room, we have the latest EKG equipment and trained staff. Laboratory: The Pet Emergency Room’s in-house laboratory allows us to perform tests such as serum chemistry, hematology, coagulation profiles, blood typing, cross matches, blood gas analysis, urinalysis and parasite testing for viruses like parvovirus and parasites; and of course we partner with other laboratories for specialized diagnostics and consultations when needed. Ultrasound Services: Our state of the art ultrasound equipment helps us diagnose many of our patients’ ailments in a fast and non-invasive manner. Pharmacy: We have a comprehensive inventory of antibiotics, anti-inflammatory drugs, cardiac and respiratory medications. We also carry prescription diets and food for special cases. The Pet Emergency Room is staff by full time emergency veterinarians. For your convenience, we are fully staffed, speaking both English and Spanish. Our primary goal is to serve as an extension of your primary care veterinarian that refers to us. We offer 24-hour hospitalization, and are proud to provide exceptional veterinary care. We are a strong team of veterinary professionals working together to provide the best, most comprehensive, compassionate care for your pet. Our emergency staff doctors are carefully selected for their expertise and their in-depth extensive training in emergency medicine. We require a minimum of 3 years of experience in general and emergency practice, or 2 years that include internship training. Our staff doctors can perform life-saving emergency surgeries. We also have two board certified surgeons available to provide the most comprehensive treatments for our patients. Your pets will also benefit from a team of dedicated veterinary care professionals with over 10 years of experience in their field. They focus is to provide the best veterinary nursing care to our patients and service to our clients. Our ICU nursing team is composed of an ICU nurse, ICU Assistant, Kennel Technicians, Triage Nurse, Lab Technician, ER Technicians and Specialty nurses. Dr. Anansa Persaud is a New York native who attended Adelphi University for her undergraduate studies with a Bachelors in Science and minor in business. 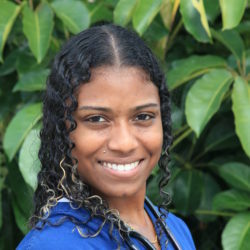 She completed veterinary school at Saint George's University in Grenada W.I with a clinical year at the University of Tennessee. Dr. Persaud recently completed a rotating internship at Long Island Veterinary Specialist in Plainview, New York. Dr. Persaud has a special interest in Ophthalmology and she enjoys traveling and participating in Wildlife Conservation. Dr. Rachel Brown completed both her undergraduate studies and veterinary school at Kansas State University. Since graduation from veterinary school in 2010, she has been practicing emergency medicine. 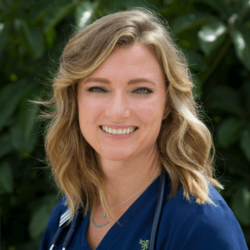 Dr. Brown recently relocated to Miami and is excited to bring her passions for emergency medicine and supporting the human-animal bond to the Miami area. Dr. Brown has interests in complicated medical cases and soft tissue surgery. When not working, she can be found enjoying spending time outside and spoiling her dogs. 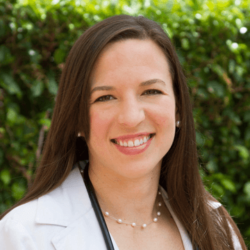 Dr. Hannah Saenz graduated from Mississippi State University College of Veterinary Medicine in May 2014. 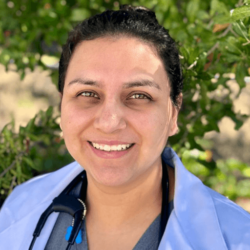 Passionate about the variety in veterinary medicine, she completed several externships and internships that expanded her knowledge in both domestic and exotic animals. She completed an internship in surgery, internal medicine, and emergency at Miami Veterinary Specialists and externships at the Memphis Zoo, San Diego Zoo, Living Desert Zoo, and Sydney Wildlife World. Her hobbies include knitting, quilting, sewing, painting and other crafts, reading - especially classics, CrossFit and baking. She also enjoys community with Miami Church. She has 2 pets, both rescues. Emma, a black cat she got in Vet school, and Eleanor, a white American Eskimo she adopted. Dr. Gisell Fiat was born and raised in Miami, Florida. She obtained her BA in Biology from Florida International University in 2009 and her DVM degree from Western University of Health Sciences in 2015. She completed a small animal rotating internship at Silicon Valley Veterinary Specialist in 2016, and Lauderdale Veterinary Specialists in 2017. She is currently working on obtaining her canine rehabilitation certification through the University of Tennessee. Her hobbies include photography, arts and crafts, and outdoor activities. She is currently living with her husband and son. She has 2 rescue pets - a dog named Laika and a cat named Ra’s Al Ghul.